Arb Cruncher is an online sports betting calculator that calculates level-profit stakes for arbitrage betting, trading and dutching. Packed with 17 betting calculators, it also performs many other useful calculations for Asian handicap betting, price inversion, implied probability, permutations, the Kelly criterion and much more. The free Arb Cruncher calculator is shown below and is available for your immediate use. Select your betting calculator from the dropdown menus beside Multiback or Position Squarer and just enter your bet details in the white input boxes. Please don't hesitate to us if you have any queries. Arbing: Exploitating existing price differentials for a guaranteed profit. Trading: Betting on price movements for a level profit (greening up). Dutching: Backing multiple selections for a level profit if either wins. Multiback: Back an overround book or dutch winners. Multilay: Lay an underround book or dutch losers. Back/Lay: Arb Back and Lay prices or trade on price movements. Draw No Bet: Create your own synthetic DNB bet. In response to the popularity of Arb Cruncher's greening-up Back/Lay calculator, we have released an enhanced version that provides a detailed breakdown of the profit and commission figures for same-market and cross-market calculations. We hope this will give you a better understanding of the inner workings of back/lay arbing and trading on betting exchanges. To trade on a price rise, lay first and back later after the price has lengthened. To trade on a price fall, back first and lay later after the price has shortened. The most lucrative type of trading is same-market trading on a price rise from a very short price. To arb Back and Lay prices, back a selection in one exchange/bookie and lay it simultaneously at a higher price in another exchange. You therefore can't arb Back and Lay prices in the same market. Most Back/Lay arbs occur when bookies are slow to shorten their coupon prices. To make your arb betting even more profitable, visiting sites like freebetshub.com can help when you use free bets and bookies betting offers. 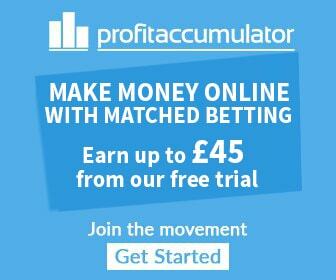 Looking for no deposit bonuses and casinos? Check out https://mycasinobonuses.co.uk/no-deposit-bonuses/ for the latest bonuses available. Many games players enjouy using promo codes for games or looking for the best slot sites. Free spins no deposit is a way for you to play on online casino without having to spend any of your own money. Follow the guide and get thousands of free spins with no deposit required. If you're a fan of casino you should visit www.casinosinuk.co.uk to get the best reviews of casinos online for uk players. You will also find exclusive offers and special deals for free. If you live in Canada, speak French, like sport betting and online casino, you have to visit https://www.parieraucanada.ca/casino/, the best guide you will find with amazing bonus and reliable advice. If you are interested in automated binary options trading, we recommend that you read this 7 Binary Options Robot review.